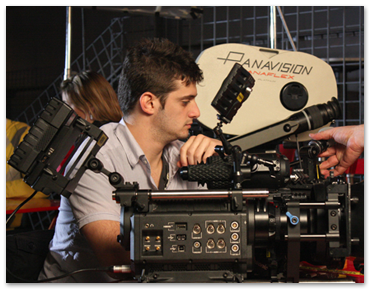 New York Film Academy filmmaking BFA degree programs are offered at our Los Angeles and South Beach Campuses. Qualified students have the option of completing course work at the New York Film Academy in New York City in a one-year non-degree program and then applying their course work to be accepted for advanced standing in the BFA Filmmaking degree program. The Bachelor of Fine Arts Degree Program in Filmmaking employs a total immersion approach to the subject, where students develop a powerful arsenal of skills in directing, screenwriting, cinematography, editing, and producing. Students work in all formats from 16mm and HD to 35mm and RED Dragon as they write, direct, shoot, and edit their own films. A strong grounding in the liberal arts and sciences serves to inform students' work and give them a well-rounded undergraduate education. The New York Film Academy's Bachelor of Fine Arts in Filmmaking is unlike any other film school; it is an accelerated intensive degree program that can be completed in three years. One benefit of this is that students may begin internships or professional work a year earlier than they would in a standard bachelor's program, and of course save a year of tuition and expenses. It requires a rigorous schedule; students are in class or production for eleven months of the year. There are short breaks between each each of the three years, and a two week winter break during the holiday season. A Bachelor of Fine Arts degree (BFA) is distinguished from a standard Bachelor of Arts (BA) degree by its in-depth study of and professional training in the arts. In the BFA, two thirds of the degree is devoted to study and practice in fine arts and one third to general liberal arts and sciences (that ratio would be reversed for an art major in a traditional BA program). The BFA student has opportunity for deep exploration and mastery of their art. Our BFA in Filmmaking offers a well-rounded collegiate education in the Arts and Humanities and Social and Natural Sciences, with a comprehensive study of — and practice in — the art and craft of filmmaking. During the three years of study, each student will write, shoot, direct, and edit 12 film projects of increasing complexity. In addition, students will work in key crew positions on their classmates' films. BFA Filmmaking graduates will complete the program with a solid academic foundation in the arts and sciences, and an in-depth understanding of film production. They will enter the field with critical thinking and research skills developed in their academic classes as well as essential knowledge from the study of literature, art history, psychology, and philosophy. This specialized degree will prepare them to pursue their own paths in film and related fields as creative professionals. The Filmmaking curriculum described below runs concurrently with general studies requirements as well as related courses in art and design. During the first year, students will learn the foundations of the art and technique of visual storytelling, including the requisite skills to write, direct, film, and edit four short films. This accelerated pace of study develops students' basic narrative and visual literacy, two skills that will be central to their success in the filmmaking BFA program. Students will also enter specialized liberal arts and sciences courses, designed to provide a foundation for a well-rounded education while also informing the artistic coursework to be completed throughout the remainder of the degree program. First year students will focus on mastering the fundamentals of cinema production. Students will film an additional three short films incorporating new tools of dialogue, challenging them to increase their skills in directing actors, writing, editing, and visual style. Liberal arts and sciences courses accompany the filmmaking courses, creating a balanced course load that emphasizes critical thinking and develops college-level writing skills. First year students improve their production and aesthetic skills. Intensive instruction, demonstration, and group sync-sound directing exercises increase students' comprehension of cinematography, producing, directorial style, editing, and collaborative and leadership skills. These skills will prepare students to direct their intermediate film in the fifth semester. Year two of the BFA in filmmaking will culminate in the production of the intermediate film. These productions can be up to 15 minutes in length, produced on double system high definition video or color negative film. This project represents an implementation of all the knowledge learned in the first year of filmmaking school. Bachelor’s candidates are expected to spend an additional 20-40 hours a week beyond class time on the production of their film projects. Production or practicum hours are considered separate from lab and lecture hours; however, they are still necessary to successfully complete the program. The Academy recognizes, as should the students, that these hours will vary on a case-by-case basis. Year two students split their time between post-production on their intermediate films and advanced cinematography, screenwriting, and liberal arts classes in foundation studies and natural sciences. Completed projects should show artistic maturity compared with the work of the previous year. Advanced equipment — such as the Red camera — is introduced, increasing capabilities for future projects. A course in critical film studies provides a context for student filmmakers to draw upon as they complete their first feature scripts. Year two students will be asked to undertake projects of increasing complexity in an on-set mentoring class, where students bring craft and theory together in production exercises. Students will film a spec commercial, and prep work begins on the scripts for students' thesis films. The overall goal of the third year of the filmmaking BFA program is to challenge students to grow as film artists and help prepare them for thesis film production in semester eight. The production of a music video will broaden students' cinematic abilities as they complete the final draft of their thesis scripts. The advanced directing project will further develop student filmmakers’ ability to create dynamic and realistic performances on set. Semester eight of the filmmaking BFA program is dedicated to the production of student thesis films. These thesis films are the capstone project of the BFA program, putting into practice the skills acquired throughout the previous seven semesters. This final semester provides an opportunity for students to complete post-production on their thesis films and expand their knowledge of the entertainment industry. They will also receive instruction on how to produce their own projects outside of a film school environment. The core of the first semester, this course introduces students to all major aspects of filmmaking. Students will learn concepts to help achieve maximum psychological impact by studying the director’s decisions in camera placement, blocking, staging, and visual image design. Students will take part in several in-class workshops and will be challenged to think comprehensively about their film projects in terms of the economic realities of low budget student production. Using their own film projects as prototypes, students will learn to break down their film scripts in terms of story and emotional beats, shot selection and composition, and budgeting and scheduling. This course will be the forum for preparing, screening and critiquing four short films. In this course, students undergo intensive training in the use of the 16mm non-sync motion picture and video cameras and their accessories. Through hands-on workshops and film tests, they will also learn fundamental lighting techniques. As they progress through the workshop, they learn how to support the mood of the story with lighting choices and they experiment with expressive lighting styles. This course presents students with multiple aesthetic approaches to editing film and video. Students will learn how to apply concepts such as temporal continuity and spatial continuity, as well as less traditional discontinuous editing techniques to their work. The course will also discuss the psychological and emotional effects of editing on the overall story. Additionally, students will learn to operate nonlinear editing software, which they will use to edit their own films. Classes are supplemented with individual consultations at the computer. This course introduces the established tools and language used in writing a film project. Students will take a story from initial idea, treatment, and outline to a rough draft and finally a shooting script. Instruction focuses on the fundamentals of visual storytelling. The intersection of story structure, theme, character, tension, and conflict is examined through detailed scene analysis. In-class discussion provides students with constructive analysis and support. Students are encouraged to tell their stories visually, rather than relying on dialogue. In addition to providing an in-depth study and exploration of dialogue in film, Screenwriting II focuses on the writing, rewriting, and polishing of the Digital Dialogue Film scripts. Students will conduct live readings of their screenplays and engage in instructor-led discussions of the work. The goal of this semester is to increase the writer’s mastery of those aspects of screenwriting as outlined in Screenwriting I. This course is a continuation of Director’s Craft IA in the first semester. Students expand upon lessons from semester one by using dialogue as an additional storytelling tool. Through production workshops and the completion of three short film projects, students are exposed to proper set etiquette and the implementation of the basic aspects of cinematic storytelling. Students stage and shoot complex dramatic exercises under the guidance of the instructor. They design shots to heighten the emotion of a sequence, then shoot the sequence on digital video in a supervised environment. The relationship between text and subtext is explored in depth through classroom sessions, screenings, and critiques, and in the field production exercises. This course teaches students to edit their sync-sound projects. Students are encouraged to expand upon previously mastered techniques to establish a consistent editing design, dialogue rhythm, and sense of pacing and continuity that compliments the story as a whole. This course leads students through the entire process of pre-production, including scouting and securing of locations, permits, and casting. The producing instructor and students design a production schedule for the entire class. The instructor encourages students to form realistic plans for successfully making their films. Using script breakdowns, students learn how to plan and keep to a schedule and budget for their productions. They use their own finished scripts in class as they learn how to take advantage of budgeting and scheduling forms and methods. Building upon knowledge and skills acquired in Director’s Craft I A&B, this course is a concentrated examination and analysis of the aesthetic elements of the director’s toolkit as it applies to shot choice, composition, setting, point of view, character, and camera movement. Students learn how to cover complex dialogue scenes with a series of shots and practice different approaches to coverage by breaking down scenes from their own scripts. Students are encouraged to develop their own directorial style, drawing from the elements presented in this class. This class immerses students in the technical and creative demands of cinematography. They will learn to go beyond simply “getting an image” and focus on the nuances of visual storytelling. Topics include: Arriflex 16SR camera and accessories, High Definition Camera, Use of Color and Light, and 35mm cameras. In addition to being trained to operate advanced camera equipment, students study basic color theory and learn to control the color palette of their projects. Special attention is given to the emotional attributes that can be assigned to an image by changing the hue, saturation, and contrast of any given image. Students learn to incorporate these theories into their projects, and gain a greater understanding of aesthetic image control. A further exploration of the narrative form, this course focuses on the writing and rewriting of the Intermediate Film Script. Narrative lessons learned from the production of the Digital Dialogue Film are incorporated into the more refined and nuanced Intermediate Film Scripts. Utilizing the skills learned in Director’s Craft IA, IB, and II, this course examines the director’s challenge in directing the short film, specifically the Intermediate Film. Through a series of lectures and exercises, the tools available to implement the Director’s vision in the unique narrative structure of the short film are examined in depth. This course prepares students for their final presentation of their intermediate Film production book. Through a combination of lectures, exercises, and individual mentoring sessions, the skills required to produce a detailed production presentation, including both aesthetic and production goals, will be taught. The student will make a final presentation for project approval, and participate in an analysis of their production experience after completion of principal photography, in this class. This film project is the capstone project of terms one through four. All students are challenged to incorporate lessons from all other courses in the design and execution of these films. These projects may be up to 15 minutes in length of any genre style and may be produced either on 16mm film, 35mm film, or High Definition Video. Students are required to work as crewmembers on five of their classmates’ Intermediate projects. This collaboration is monitored through a crew participation class, in which students meet to discuss upcoming projects and debrief and review recent productions. Co-taught by a directing and producing instructor, students are approved for production on their own Intermediate Projects through a rigorous review of their preproduction materials by their instructors and classmates. The goal of this workshop is to fully immerse each student in an intensive and focused course of study, providing a solid structure for writing a feature film treatment. Students will learn the craft of writing by gaining an understanding of story, structure, character, conflict, and dialogue. With strict adherence to professional standards and self-discipline, students will complete a treatment of a feature-length script that will be further developed in the second year of the program. In this course, students will apply the knowledge gained so far through editing and post-production courses to finish their Intermediate Film. They will be assessed on their ability to take a film from rough assembly to locked picture to a finished product with sound mix and titles. Excellent problem-solving skills will be necessary to steadily improve each cut of the film on the way to achieving one’s vision. 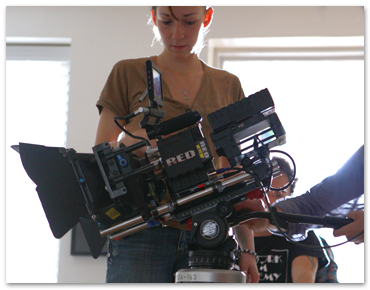 Class sessions are designed to help students master many elements of cinematography using professional high-def RED camera systems. Proper use of advanced lighting and grip equipment such as HMI lights and dollies is taught in this course. In preparation for the upcoming projects, students learn lighting techniques of increasing complexity, building on their arsenal of skills through shooting tests and experimentation. This class is designed as a creative and academic safe-haven for students to develop, write, and polish a feature film script. In order for a student to successfully pass this class, each script must be completed and revised by the end of the term. A continuation of Director’s Craft II; students study the language and craft of film directing from the perspective of the last thirty years. Students will increase their comprehension of visual expression and directorial style through a series of in class exercises, assignments and lectures. These skills will help prepare students for the Synchronous Sound Production Workshop II, which runs concurrently. Preparation of a director’s journal will assist students in defining their style and vision for projects in later terms. Building upon the narrative short film screenwriting skills developed in semesters one and two, this course focuses on advanced narrative storytelling techniques to be applied in the thesis project scripts. Students will take their projects from log lines to completed scripts in this class. A supportive workshop environment will allow students to work through multiple scenarios as they hone their narrative vision for these thesis projects. Students stage and shoot fully-produced commercials under the supervision of the instructor. Putting into practice the skills learned in Director’s Craft II and Cinematography III, students film using the advanced equipment package. This experience gives students an arsenal of techniques and practical tools, which they can use to successfully complete their Thesis project. A continuation of Director’s Craft IIIA, students build upon skills learned previously. These skills provide students with the foundation required to direct a sophisticated music video or commercial using the advanced equipment package. Each student will direct his or her own project in addition to collaborating as crew on their classmates’ projects. These music videos/commercials allow students to implement the vision and style refined in the last term in Director’s Craft IIIA and the production experience gained from Synchronous Sound Production Workshop II. Later stages of the class will focus on advanced scene work, performance, and production of the director’s notebook for the upcoming thesis film projects. A continuation of Screenwriting Short Thesis A, this course takes students through multiple drafts, ultimately leading to the final draft of the thesis project. Workshop and instructor feedback, in addition to class exercises and assignments, will provide crucial insights as these projects become production-ready. Utilizing the skills learned in all previous directing classes, this course examines the director’s challenge in directing the short film at more advanced level. Higher-level concepts such as control of tone and style will be pursed in depth as they related to the unique short film format. Lectures and exercises will contribute to this advanced directing class aimed at refining the student’s ability to more precisely execute their creative vision. Similar in nature to Intermediate Film prep, this course prepares students for their final production of their Thesis Film. Through a combination of lectures, exercises, and individual mentoring sessions, students work with faculty to prepare for their Thesis Film production. Term Eight culminates in the production of the Thesis Film. This film project is the capstone project of all previous terms. Students are challenged to incorporate lessons from all other courses in the design and execution of these films. By participating as crewmembers during their classmates’ Thesis Films, students will gain further on-set experience and become more intimate with the nuts-and-bolts aspects of filmmaking. By understanding the role of each key member of the crew, students will greatly improve their ability to manage a large production as a director. In this course, students will apply the knowledge so far gained through editing and post-production courses to finish their Thesis Film. They will be assessed on their ability to take a film from rough assembly to locked picture to a finished product with sound mix and titles. Excellent problem-solving skills will be necessary to steadily improve each cut of the film on the way to achieving one’s vision. Students will examine filmmaking from a business perspective as well as the breadth and diversity of the industry today. Topics include the history of the studio system, the roles of production companies, post-production companies, professional guilds, financing, film festivals, agents and managers. Exposure to the expansive scope of the industry will provide students with knowledge of multiple potential career pathways. Students will meet industry professionals during special guest lectures. Every great filmmaker has also been an excellent self-promoter, using their storytelling skills to convince people to support their next great project. This class examines all of the twenty first century tools that can be put into service of this age-old task. Internships, social media, new media, websites, director’s reels and the ability to create opportunity out of obstacle are all explored in this hands-on class. Various projects will help prepare the students to promote themselves in the real world after graduation. Industry professionals must keep abreast of evolution in New Media technology and the many New Media outlets for distribution that continually emerge. In this course, students develop an introductory sense of the filmmaking challenges and opportunities presented by new/digital/viral media—including podcasting, marketing films, and producing for the web/handhelds. Through readings, discussions, and hands-on production, students develop critical and pragmatic insights into critiquing and designing New Media experiences. Students shoot a dramatic scene to create a feeling of continuous action. The scene unfolds utilizing a variety of shots (10-15) with a consistency of physical detail between shots intended to match (no jumps in time or action). This will challenge students to produce a clear, visual scene while maintaining the truthfulness of the moment. It is essential that the audience believes in the reality of the scene. The goal of this project is to create a longer narrative film that incorporates all of the directing techniques learned thus far (Mise-en-scène, Continuity, Pacing, and Montage), along with sound effects and score, into a complete story of no more than 10 minutes. 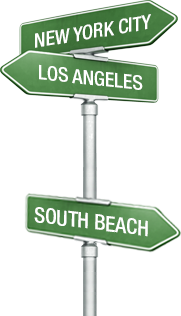 It is best to keep the production to one or two locations with two to three characters. The goal is to tell a concise story that demonstrates students’ directing abilities. Please remember that less is often more and that the quality of a film is never determined by the amount of money spent. There is no substitution for creativity, ingenuity, resourcefulness, and above all, pre-production. Students make a shot list, storyboard, and floor plan for their project, as well as scout locations. They create a production book with tabbed dividers including their script, floor plans, shot lists, shooting schedule, script breakdowns, and permits. Lastly, they must rehearse with their actors prior to shooting. A student’s final film may have up to two tracks of sound that incorporates music, sound effects, and/or ambient sound where appropriate. However, voiceover is not allowed for this project. You will have an opportunity to screen your film in front of the class and receive notes from your instructors. Students write and direct a scene without expository dialogue, exploring subtext through characters they have created for their upcoming Digital Dialogue Films. The scene should be an original, stand-alone piece (written by students’ classmates, then redistributed); separate from their Digital Dialogue script, yet exploring the people, ideas, and story their Digital Dialogue Film will present. This is a great opportunity to workshop situations, scenarios, and backstories to get a better sense of who the characters are, and how they interact with the people and environment around them. Students create a short scene with minimal dialogue and no more than three characters that have conflicting objectives, while presenting the viewer visually with a clear and distinct point of view. Through experimenting with eyelines, framing, graphic control (composition and staging), and narrative control (often editing choices), the audience should have a clear understanding of which character’s story a student is trying to tell. Even though the project is called the POV, true POV shots are not necessary. Filming a neutral dialogue scene with the class as assigned crew and instructor supervision, this scene should be complete with subtext, backstory, conflict, objectives, beats, actions, and be contained within one location. This project should serve as a culmination of students’ experiences throughout the semester. Successful projects will utilize many of the ideas and concepts explored over the past sixteen weeks. Putting into practice the skills learned in Director’s Craft III and Camera and Lighting III, students film spec commercials using the advanced equipment package. This experience gives students an arsenal of techniques and practical tools that they can use to successfully complete their final Thesis Project. Students must film either a commercial in the Advanced Production Workshop or a music video later within the semester. Students who do not direct a commercial will film a music video, which is subject to instructor approval. The video will be a demonstration of a student’s ability to integrate music and image through casting, locations, cinematography, and editing. Music videos typically include a performance element by a band or group of musicians, depending on the nature of the video. However, all videos must be centered around an original piece of music. Students direct and edit a short film up to 30 minutes in length, and fill essential crew positions on short form films directed by fellow students. The final capstone of the BFA program, this film combines all of the skills learned thus far into a single Thesis Project. These final films function as a calling card for the BFA Filmmakers, enabling them to demonstrate their creative vision and professional skills to the world of film festivals and the larger community of the entertainment industry. Filmed using the entire advanced equipment package that includes RED Epic Dragon cameras, HMI lighting, and industry standard dollies, these projects have the necessary equipment and longer production period to allow filmmakers to work on both a more detailed and nuanced level, and with a larger scope.